Instagram Stories is a weird place. Sometimes we lose hours to it—passively witnessing its medley of parties and concerts too dark to see, food being prepared, cutesy brand videos, flowers in spring, leaves in autumn, and crayoned commentary over blurry pet shots. “Off to work!” some influencer writes, the words superimposed over a shot of her leaning casually—too casually—against a balcony. What does that even mean? There’s a “stories” element missing in Instagram Stories. In fact, they’re less stories than deconstructed shards of lives—which in the end are a lot like ours anyway, and which increasingly seem to want to sell us something, whether it’s a lifestyle, a parenting philosophy or just shoes. What if an Instagram Story could expose you to moments spent improving the dumpster-fire world we’re in, instead of making you feel sorry you missed Jay-Z’s last tour? 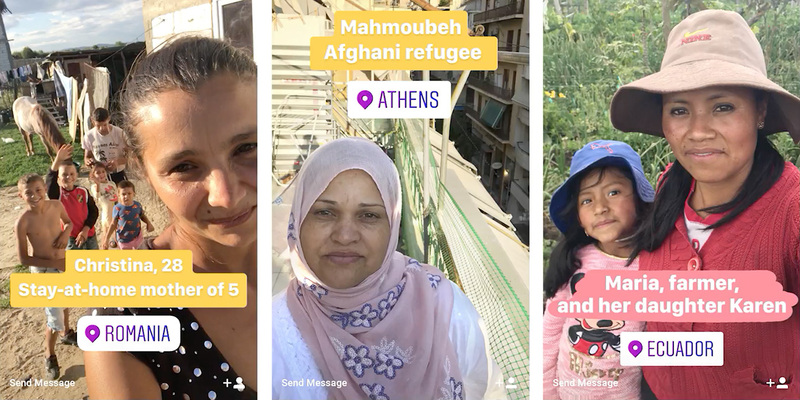 With help from BBDO Paris, nonprofit CARE France used Instagram Stories to share the daily lives of women from the other side of the world. The context, however, gives them a very different resonance. Below is the Instagram Story of Minata, a water vendor on the Ivory Coast. Minata works alongside a solidarity-based savings group supported by CARE, and works grueling hours to keep her critical business open to her community. You see her home, her long walk to market with a cooler on her head, her earnings for the day, and the local atmosphere. Maria is the mother of a 7-year-old, and an Ecuadorian farmer fighting climate change, with help from CARE. One of the most surprising things about her video is seeing what, in our minds, amounts to a day’s work—only for the stream to end with her preparing her child for the start of the school day. Here’s Mahmoubeh, an Afghan refugee who arrived in Athens, Greece, a year ago. In addition to fighting for her own right to asylum, she helps new arrivals in Europe alongside CARE’s local partners. 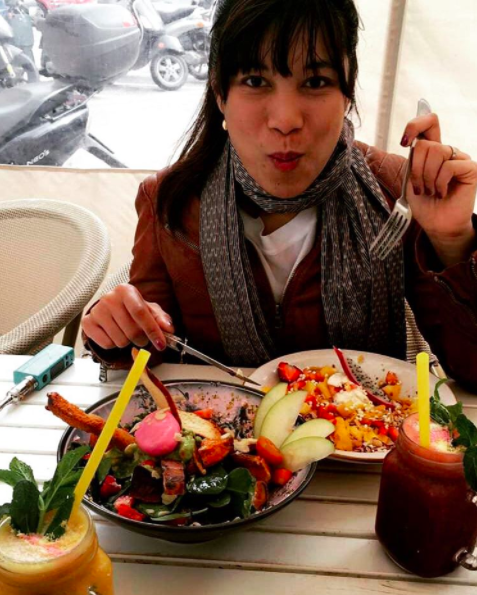 While the work is as riddled with emojis and hashtags as any Story, the dissonance between these women’s lives and our own is left up to us to feel, and not up to them to ham up. There are no complaints, no elongation of hardship, only daily failures and successes, whose stakes happen to be dramatically different from ours. The case of Mahmoubeh specifically strikes a chord. With so many refugee crises in the news, it’s become rare to actually see the world from their eyes without a direct tie to endless abject suffering. “Those are women who are just like us in many ways—their spirit, those little daily moments such as meals and tender moments with their children, but who live in a complete different reality, in very precarious conditions,” says BBDO Paris president Valérie Accary. Next is the story of Jeanne-Olivia, a street cleaner in Madagascar. She introduces us to her neighborhood, Antananarivo, one of the least hygienic towns in the world. Alongside CARE, she works to improve its conditions—and while it isn’t exactly glamorous, what resonates are the smiling children who constantly surround her. Some even help out. Christina is a mother of five … and she is only 26 years old. With help from CARE’s family planning program in Romania, she demonstrates how she’s able to support them all. Her eyes, even when smiling, are probably the saddest among any of the women seen so far.